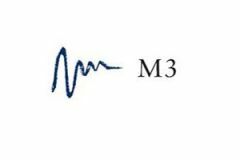 This page shows the latest M3 Group news and features for those working in and with pharma, biotech and healthcare. Doctors.net.uk has been acquired by M3 USA, an international online healthcare company. ... The M3 group now has access to over 1.5 million physicians for market research, education and healthcare promotions. for M3 Group’s European division. Helen has over 20 years’ experience in the pharmaceutical industry and joins Therapy Watch from the M3 Group where she was a Commercial Director for their European division. Maria, M3 Group. "I thought the filming and overall production from Streaming Well was excellent and I was very pleased with the results for the Third Sector site." David, Haymarket.